How do anxiety and creativity relate to each other? 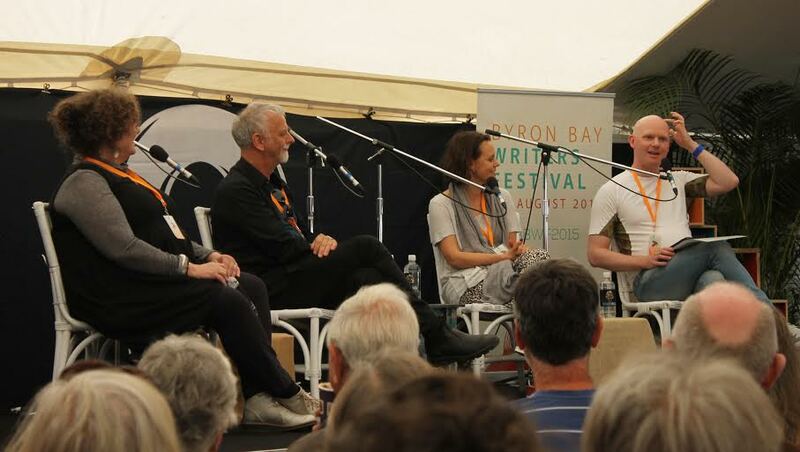 As an artist and writer I was particularly interested in this discussion at Byron Bay Writers Festival. I often feel great pressure and anxiety when a deadline looms for my creative work. Yet is this anxiety a help or hindrance to creativity? Mia Freedman, Andrew Knight and Ramona Koval discussed the highs and lows of creative life with Chris Flynn as they reflected on how anxiety affects them. Mia Freedman gets anxiety if she doesn’t keep busy. That is why she ended up having a panic attack at a health retreat, of all places. Creative people may be more open to talk about how they are feeling. As a writer Freedman knew she should write about her anxiety, but needed perspective and to be honest about the fact that she needed medication before she was ready to. It’s only in the last four months that Freedman was finally able to discuss this on her blog Debrief Daily. She said that when you are open and honest people give it back to you. Ramona Koval said she has been obsessed with reading all she could read and knowing all she could know. This was driven by anxiety and the worry that she wouldn’t be accepted in the literary world. However, there is something to be said for surviving anxiety and growing from it as a writer and human. The process of writing as agony, said Andrew Knight, you have to go slightly mad to do it. Most of Knight’s writing has come from being an anxious youth. He spent a lot of time in his own head. When Knight struggles to get an idea he finds it sheer living agony. Koval had a different view, insisting that writers are lucky. ‘It’s really not that hard! If I can’t work it out I go for a walk or have a nap.’ she said. There is a difference between anxiety and stress, according to Freedman. Stress is helpful, while anxiety is not indexed to anything. Other people’s opinions used to matter a lot to Knight. He believes it was a matter of ego. Now Knight has reached a level he describes as ‘sexual implausibility’ where it really is about the craft. The craft is all you have left in your senior years”. Freedman suggests learning what self-soothes you and using that. Freedman likes exercise and a big cup of tea, so she travels with a big mug. Obama only has two suits so it frees his mind for other decisions. By locking the foundations in place, Freedman believes she can be more creative in her life. So is anxiety associated with creativity? It certainly seems to be the case for these writers, as it is for many creative people. Yet how we deal with this anxiety appears to be the important part. Therefore, I’m off to make myself a nice big cup of tea. This entry was posted in Byron Bay Wrtiers Festival, Issue 15, Sara Khamkoed and tagged Andrew Knight, Chris Flynn, Mia Freedman, Ramona Koval by Mark Roberts. Bookmark the permalink.